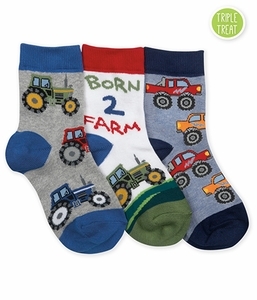 Socks perfect for farming or just playing on the farm! Triple Treat = 3 Pair Asst. Pack - 1 Pair of Each Pattern Packed Individually.